Our brand is a reflection of your powerful work. Join Chancellor Randy Woodson in adopting NC State's Think and Do identity. Across North Carolina, throughout the United States and around the world, people come to know NC State University through our brand. This powerful, unifying identity articulates the excellence in scholarship, innovation and collaboration that defines the core of our outstanding university. When our institution is recognized for these characteristics, we build trust and value, bringing benefit to everyone who is part of this community. To help achieve our strategic goals, over the past several months we engaged in an effort to better identify, define and unify our brand. 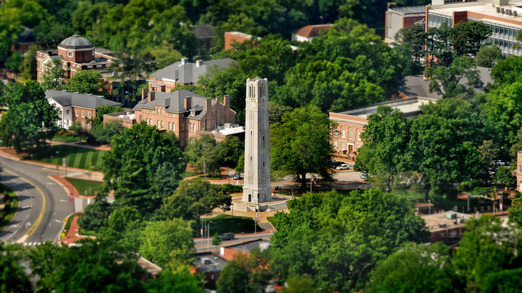 Like many others in higher education, the NC State brand was fragmented and lacked the consistency necessary to be a truly strong identity. Led by our award-winning University Communications department, individuals and groups across campus and beyond came together to talk about who we are, what we do and what we stand for. The result was a new, campus-created brand platform — built around our relentless desire to think and do for the greater good and our promise to create economic, societal and intellectual prosperity — that will drive successful communications at our university and help us realize our goals. University Communications began rolling out the new brand platform last summer and fall by launching a brand website (brand.ncsu.edu), updated publications, a new university homepage, and the Think and Do-themed banners and advertisements you’ve seen across campus and around town. But these were only the first few steps. Our success in building a truly global reputation as one of the pre-eminent research institutions of our time is contingent upon how well we all understand the principles and standards of the new brand — and how consistently we apply them. Therefore, I am pleased to announce the official campuswide adoption of NC State’s new brand standards, and I am calling on all NC State employees to implement these standards in your communications. This directive will be phased in across the remainder of FY15 and FY16 to allow depletion of current printed materials, minimizing cost and also allowing time for continued education and updates to websites and other assets. Continually updated brand guidelines and tools are available online at brand.ncsu.edu. To ensure success in this important endeavor, I am delegating authority to implement and manage the brand to the university’s chief communications officer, who will follow up with additional campus communications and specifics about implementation and support. Our momentum at NC State has never been stronger, and this effort will help ensure we build on that momentum and continually present the NC State brand prominently and consistently. I thank you for your ongoing participation in and contribution to this critical effort. 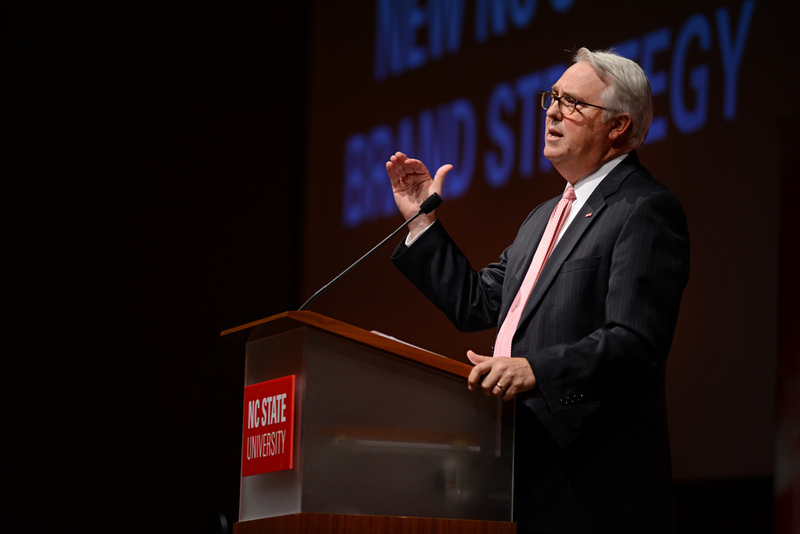 A strong central brand is essential to Chancellor Woodson's vision for a stronger NC State.